However, I do have one favorite who is very much alive, and whose career is on the way up. After seeing her live several times, a mutual friend finally introduced us after a concert, and so I’ve gotten to know the lady herself. 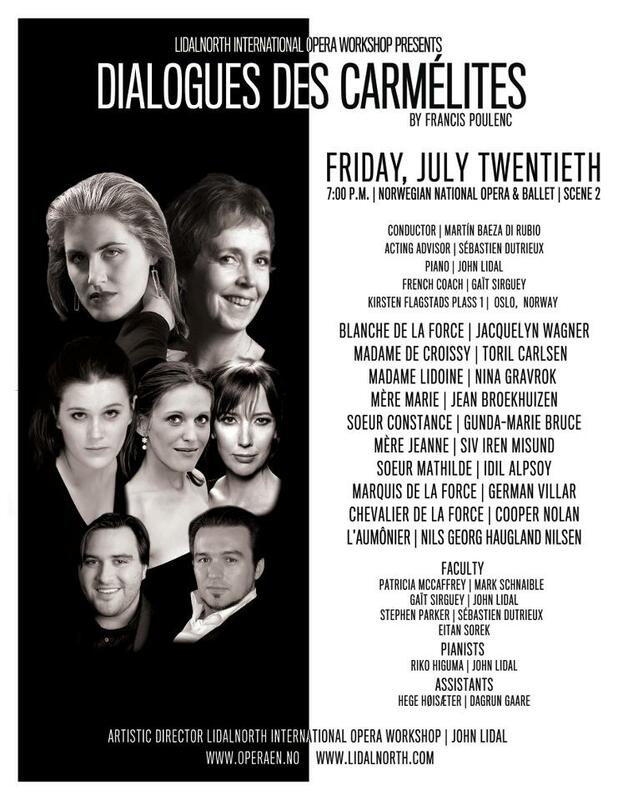 During her engagement at the Oslo Opera this summer, when she will be one of the headliners in “Il Trittico” – Gunda-Marie Bruce has agreed to let me interview her. Scandinavia so far has given the world a lot of great opera singers through the ages; Norways Kirsten Flagstad, Ingrid Bjoner, Aase Nordmo Løvberg, Solveig Kringlebotten – Swedens Hjördis Schymberg, Birgit Nilsson, Elisabeth Söderström, Marlena Ernman to name just a few…. And Gunda is on the verge of joining the ranks of those legendary ladies. While her talent is obvious to anyone who has ever heard this wonderful lyric soprano on stage, Gunda also has the personality that transmits that opera is actually fun! As she is still not a fully developed opera singer, she can do different things, and so she has appeared on stage doing Musicals and she is also much used as a Church singer – doing oratorios and even some of the more classical Christmas songs. 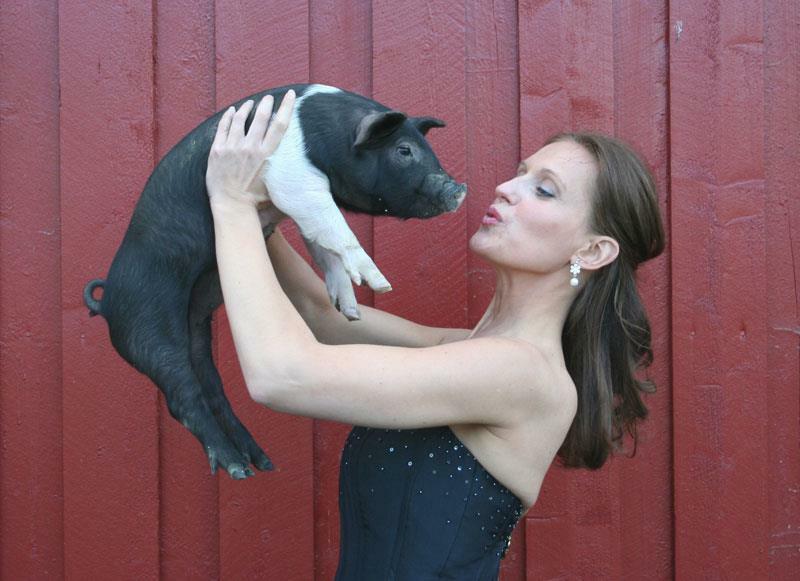 She never did “Beauty & the Beast”, but posing with a cute piglet made a wonderful photo! By doing a lot of different material, Gunda has maintained her position as an opera singer, but also showing the world that opera is for everybody, and not just the selected few, and her attitude has given a lot of people access to the wonderful world of opera! During my interview with Gunda, I will talk to her about her background, what made her want to be an opera singer, her influences and teachers – all in all, giving you all a complete picture of Norway’s hottest opera star on the rise. I suspect that Gunda has a lot of other aspects to her personality as well, and I am very much looking forward to our interview, and to share her story with all of you. Having sometimes done a little untraditional things on stage, Gunda has done the same in her private life. Rather than living in Oslo, being surrounded by colleagues and artists, Gunda lives on a farm in the country with her husband who is a farmer and also raises pigs. Life on a farm has never looked or sounded better! So do check back in July, and get to know Gunda-Marie Bruce a little bit better!